Free sample issue! 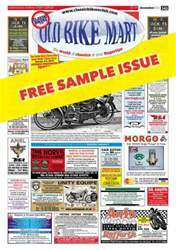 Old Bike Mart offers the UK’s largest selection of classic motorcycle classifieds. It features the latest news, reports from the racetrack, part and tool reviews and ‘how to’ guides. Newly discovered historic machines are revealed in all their unrestored glory and there’s a nostalgic look back through the annals of motorcycling history. There are also dealer and workshop profiles where the experts behind some of the UK’s finest restorations give a behind-the-scenes insight into how the magic happens. 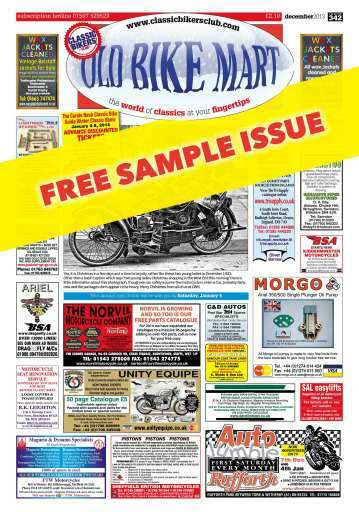 Readers’ rides are examined, buyers’ guides show you what to look for and there are hundreds of ads to browse.